Under such slogan International conference NEW GENERATION TEACHERS: SECRETS OF SUCCESS was held on 13 November 2018 in Kyiv. The conference was organized within the framework of New Generation School Teacher joint project of the British Council Ukraine and the Ministry of Education and Science of Ukraine. Vasyl Stefanyk Precarpathian National University is one of higher education institutions participating in the project. That is why university Vice-rector, Professor H. Mykhailyshyn, associate professors I. Romanyshyn, N. Pyliachyk, O. Bilyk, O. Trotsenko and students S. Hnatushko and L. Poseliuzhna took part in the conference and got acquainted with world practices for the training of future teachers presented by SamantaTwiselton (director, Sheffield Institute of Education at Sheffield Hallam University) and Arto Vaahtokari (head of the project Finland’s Support to the Ukrainian School Reform). The guests of the conference participated in the discussion panel New Generation School Teacher and the New Ukrainian School: Together or in Parallel? moderated by Natalka Moseichuk, journalist, TSN 1+1. 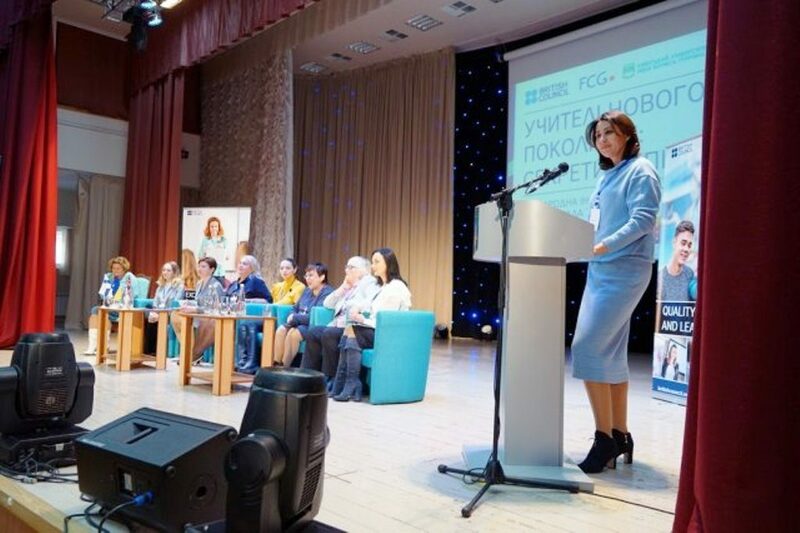 In particular, the head of the delegation, Vice-rector Halyna Mykhailyshyn, suggested that, in developing professional standards for training specialists in the specialty 014.02 Secondary education (indicating a foreign language), experts should use the experimental Program of Methodological Preparation of the Future English Teacher, which was developed within the framework of the project “New Generation School Teacher”, for training teachers of other foreign languages ​​(not only English). Both the teachers and the students took active part in the workshops Action research in PRESETT, School experience: a new look at traditional things and visited demonstration sessions Teaching English to dyslexic learners, What makes instructions effective in the English classroom.